Whenever you approach a new weight-loss plan, the first things that likely come to mind are diet and exercise. While those two are certainly key to achieving results, there’s another factor that can have a significant effect: quantity and quality of sleep. 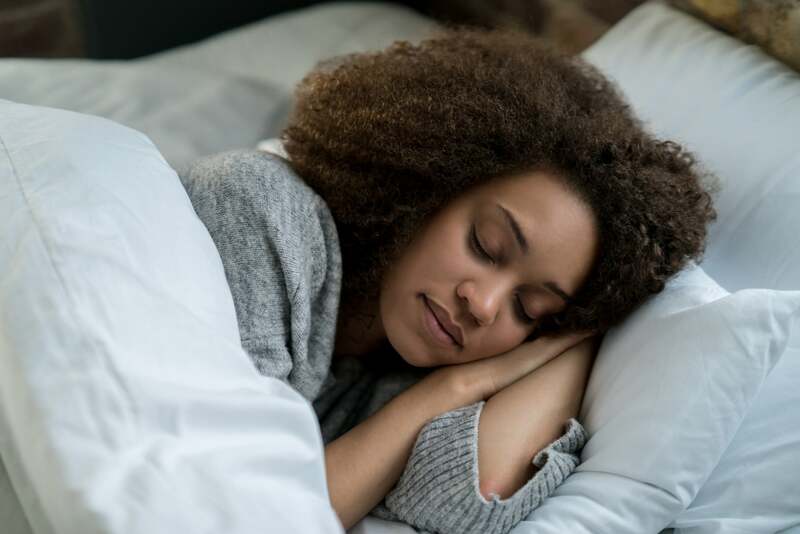 Those precious hours of rest can help prevent overeating, making it that much easier to create a calorie deficit – but, fun fact, you also burn calories as you sleep, though just how many varies from person to person. For example, a 35-year-old woman who is 5’4″ tall and weighs 120 pounds has a BMR of roughly 1,305 calories per day. Divide that number by 24, and she burns about 54 calories per hour while sleeping. The more you exercise and the more muscle you build, the more calories you’ll burn at rest. But working to get your seven to eight hours can also help fuel those efforts, as quality sleep is key for efficient muscle recovery and overall strength building, Josh Holland, an NASM-certified trainer and cofounder of SystimFit and 432 House in New York City, told POPSUGAR. “Lack of sleep makes it challenging for your body to recover from exercise and lose weight by decreasing growth hormone and increasing the stress hormone cortisol,” added Holly Roser, an NASM-certified personal trainer and fitness nutrition specialist in New York City and San Francisco. At the same time, too little sleep can disrupt the hormones ghrelin and leptin, which signal to the body when you’re hungry or full, she explained. In other words, it slows muscle building, while putting you at risk for cravings, stress or otherwise. So, if you want to boost your metabolism and burn more calories – while feeling more energized and in control – it’s best to start with a solid night’s sleep.